Filipinos love to eat. As a matter of fact, they can be seen carrying food every now and then to fill in their tummies. However, they cannot be blamed as there are a lot of stores offering a wide array of food choices which are scrumptious in their own way from pastries, to desserts and to dishes. One of the crowd’s favorites is roasted chicken or what they call, “lechon manok.” The dish is well-known as the perfect match to freshly cooked rice. Lechon manok is prepared for family meals, celebrations, gatherings and even as “pulutan” during feasts. 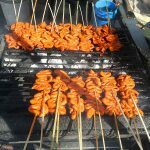 Due to its preparation and taste similar to that of the usual lechon – which is pork, many people began indulging into the mouthwatering dish every time they get a chance. 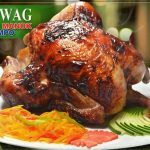 This occurrence was noticed by entrepreneurs who are looking for a new investment, and decided to see how Baliwag Lechon Manok performs along with its other competitors in the market. What the general public doesn’t know is that, the company’s story is truly an inspiring one. In the early days, there was a couple who wanted to venture into a business which is unique and one of a kind. They were also intending to provide a great customer service to the customers and earn from it. They decided to use an amount of Php 5,000 acquired from their savings and also borrowed the same amount from their parents to make an investment to a food business -- lechon manok kiosk in Quezon, City. One of their relatives decided to help them out by creating a one-of-a-kind recipe that will surely capture the Filipinos taste buds. The brand name “Baliwag” came from the place where one of the founders grew. 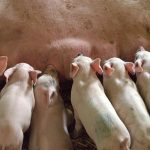 Some of the food products they offer are: Sisig, Sizzling Bangus Belly, Sinigang na Baboy, Dinuguan, Kare Kare, Pork Barbeque, Special Chicharon,and Juicy Fried Chicken – which the company branded as Chikititas. 25 years later, they were already known as one of the best chicken stores in the country. They already have a lot of branches all over the country, due to their lechon manok. Products can be sold any time of the year, whether there is an occasion or not. Business minded individuals who are interested to create more opportunities are very much welcomed by the company. Before a franchisee invests in the store, Baliwag Lechon gives invitation to one of their Franchising Information seminars to learn more about the business. During the seminar, franchisees will be provided will all the necessary information they will need, and will also guide them in every step of the way. Baliwag Lechon Manok’s franchising term is for five (5) years, which wasn’t indicated if renewable or not. 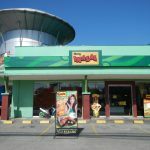 Each franchise ranges from Php 250,000.00 to Php 750,000.00, depending on the business model that preferred by the investor. However, aside from the capital fee, there are also a few more fees to be paid during the operation. hi im intrested!! how to apply? I am interested to franchise baliwag lechon manok. I intend to put it in legazpi city where my residence is located. I will appreciate it very much if i will be invited in your seminar for me to know the details of frnachising. I look forward to be one of your business partners in the coming months. helo. 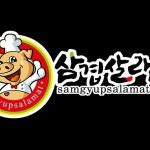 im interested to franchise baliwag lechon anu po mga dpt kelangan at magkanu po ang fee? Hi, I am interested to franchise Baliwag Lechon- Take out kiosk only. Kindly send me details. And the total how much it will cost. I live in Sacred Heart Village Novaliches Q.C. and i am looking at area near SHV gate 2 and Dela Costa Area. HI IN INTERESTED IN FRANCHISING BALIWAG LECHON MANOK. MY LOCATION IS IN LEGAZPI CITY.WHAT ARE THE DOCUMENT NEED. I WANT A CART TYPE ONLY FOR THE BEGGINER..
Hi interested for franchise po.tnx. Gusto q po mg apply ng frachise sa baliwag lechon manok..pno po ba. At mgkno po b ang nid n puhunan..pra lng po s take out.sa 20-40 square metter. I am interest how should I start? Is there a free seminar or orientation? interested franchisee. how to franchise baliwag lechon manok and what is the process ? Good Day! Gusto ko po sana mag apply ng franchise sa baliwag lechon kiosk take out 20 to 40 sq mtrs.pls send me the details. Ano po mga requirements or documents na kailangan i provide.Im from Nangka Marikina City.I will be waiting for your reply. Thank you very much! God bless!!! I’m interested to franchise your Baliwag Lechon manok. My location is in Quezon City. Can you send me the details. 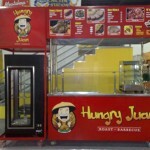 Hello po..i just want to ask how much the franchise for a cart type 4 to 6 square meters? But dito po sa ilocos norte? Would that be possible? And where and who i have to talk to regarding the franchising? pls email the details in franchise thankyou para po take out. 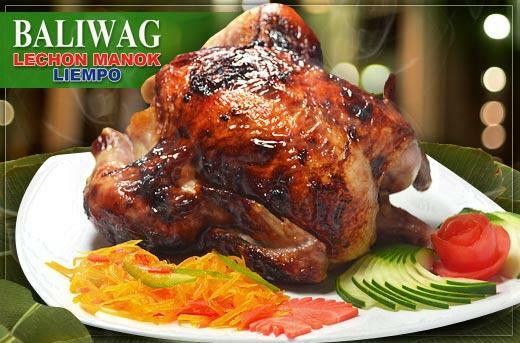 I’m interested for a franchise buainess of baliwag lechon manok. I’m from san mateo rizal. I’m interested to attend a seminar to hear and ask aome deatails regarding the business. Pls let me know if there will be upcoming seminars. Thank you! hello po pa msg nman po ako ng details salamat. 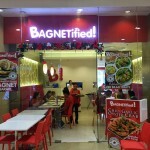 Commercial space Located at Mandaluyong metro manila. 15sqm with 3.2m frontage. Im front of school at katabi ng 7 Eleven. hi i interested to franchise.pno po ggawin at mgkno po fees. 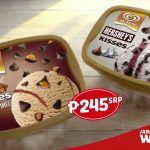 How to Apply for Selecta Ice Cream Distributorship?